Northern Ireland’s women’s futsal team have been handed a tough draw in what will be their first ever international tournament. Keith Gibson’s side were in the hat today as the draw was made for the first UEFA Women’s Futsal Euros. A total of 23 nations have entered the competition which will culminate in a four-team knockout final tournament next February. Northern Ireland will be taking part in a preliminary round next month with the aim of making the main round in September, from which four group winners will progress to the knockout finals early next year. The preliminary round draw - it was made at UEFA HQ in Nyon, Switzerland, earlier today - was not kind to Northern Ireland, who have only recently put together a women’s international futsal squad. 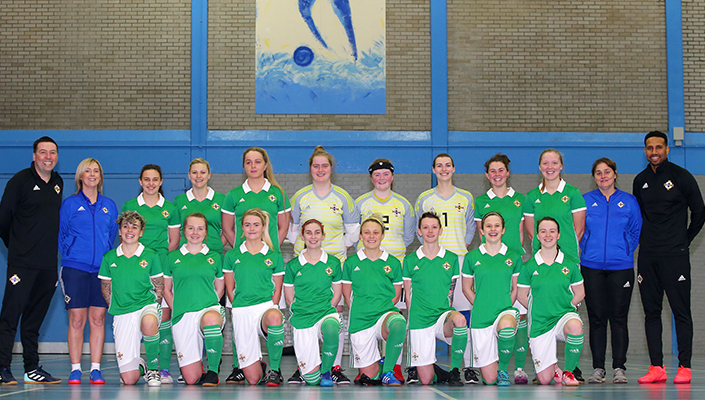 The girls in green will be up against Netherlands, Belgium and Sweden from 21-26 August, but they will have home advantage as the games are set to be played at Newry Leisure Centre. If Northern Ireland do progress from Group A in the preliminary round they would then face Russia, Slovenia and Croatia in the main round (Group 2) from 11-16 September. And Croatia will be hosting that mini tournament. UEFA first announced the launch of its inaugural women's futsal competition for national teams in 2017. It will be held every two years with initially a four-team knockout final tournament. The first women’s Euro futsal finals will be held in mid-February 2019 and will be hosted by one of the four eventual qualifiers.